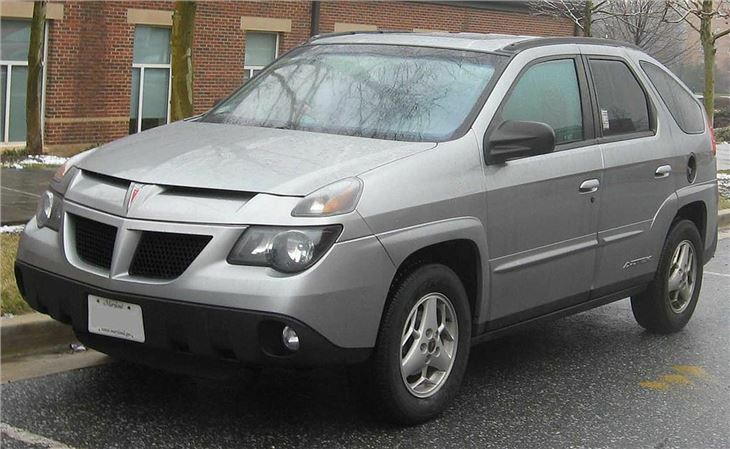 One of the most grotesque cars ever built or ever likely to be built. 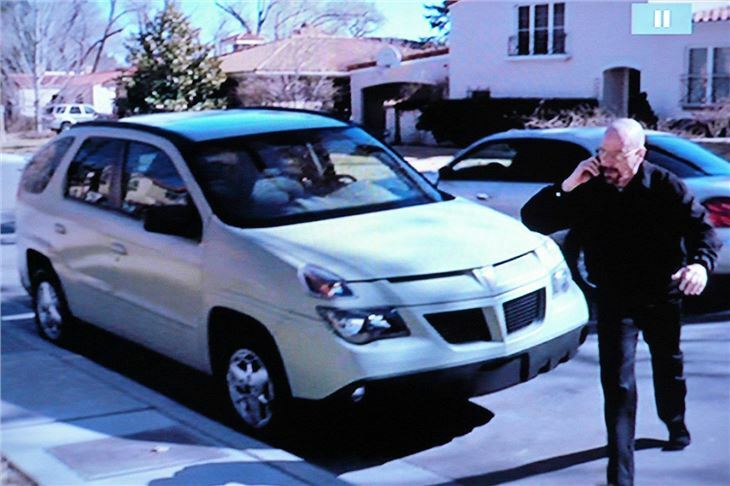 Walter White's car in Breaking Bad, the Pontiac Aztek was based on a 1999 auto show concept styled by Wayne Cherry/Tom Peters and brought the term 'crossover' to America. 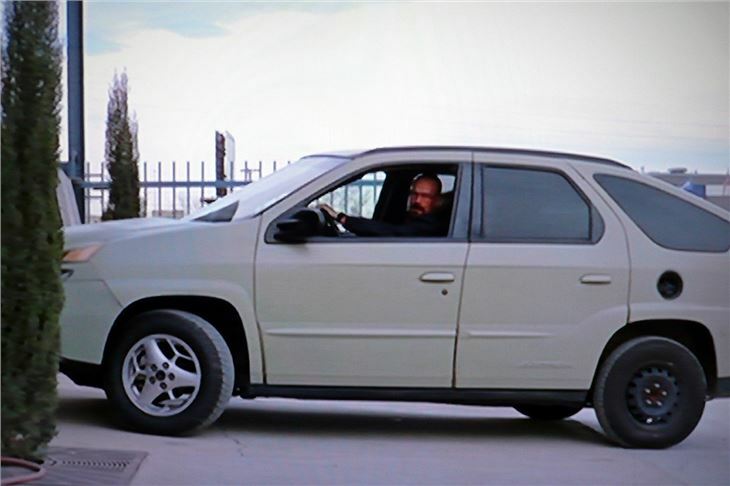 Built in Mexico, it was on sale from 2001-2005, priced from $21,445 with a 3.4-litre V6 engine and front-wheel drive or 'Versatrak' 4WD and was marketed as "quite possibly the most versatile vehicle on the planet". 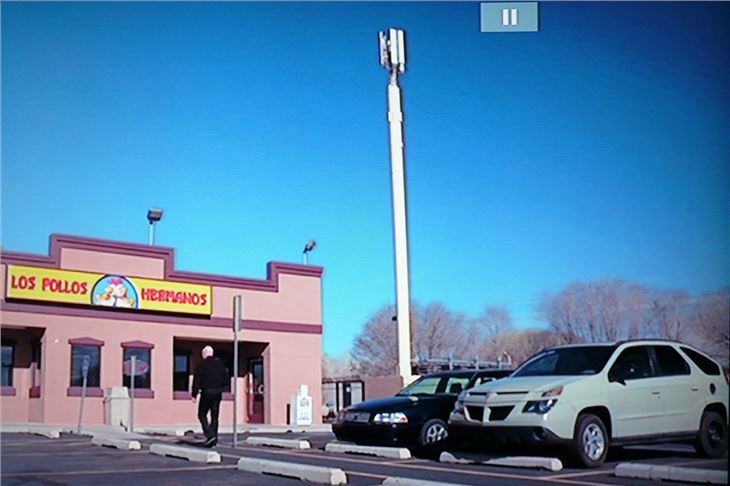 Its Mexican origens may have had something to do with its casting as the transport of cancer diagnosed chemistry teacher turned crystal meth cook, Walter White, in the brilliant hit TV serial, 'Breaking Bad', which was set in Albuqueqe, New Mexico. Walter's Aztec sported three alloy wheels and a spacecerver steel permanently attached to the nearside rear. During the course of the series, he demonstrated its versatility by transporting DIY materials to his home, including a new boiler and floor joists. The car suffered damage by falling debris from a plane crash directly above and being used to run over a couple of lowlife drug dealers. It went through at least three replacement windshields. 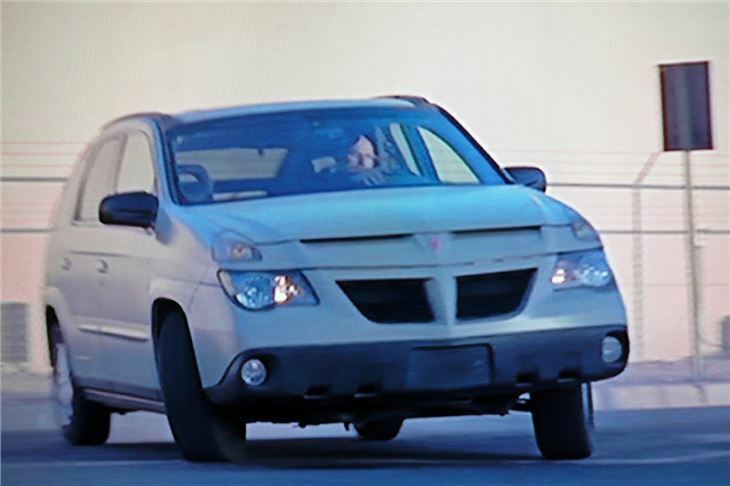 Walter eventually traded it in for a Chrysler 300 SRT8 that better befitted his 'Heisenburg' persona. Numerous 'Fern Green' (beige looking) Azteks were used in the filming, continuity being provided by the single black spaceaver wheel on the left-side rear. 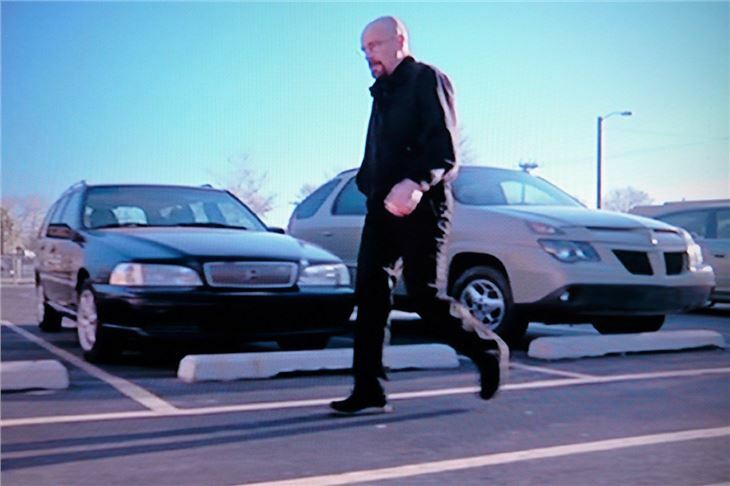 For the millions who haven't seen it, 'Breaking Bad' is available reasonably cheaply as DVDs on Amazon.